Been there, done that… Where to go next? If you don’t fancy our Bali accommodation deals but you’re longing for a destination without the crowds but at a great price, Expedia has unearthed nine international holiday spots that still offer long beaches, cocktails by the pool and great value-for-money. Not only is Malaysia super cheap to visit, there’s plenty to do. Whether you want to enjoy white sand beaches, learn about fascinating history or tuck into delicious cuisine, Malaysia is a destination that quite literally has it all. Average cost of a flight price from Australia to Malaysia will set you back $317 and accommodation prices are at $103 on average per night. The Australian dollar has also gained 12% growth year-on-year (YOY) for the Malaysian Ringgit, making it a top destination for value-for-money. For travellers with a checklist of pristine beaches and balmy tropical weather, Expedia encourages travellers to check out Vanuatu. The stunning nation of islands offers accommodation prices at $106 on average per night and average cost of a flight from Australia to Vanuatu has decreased by 10% YOY at $398. And thanks to Vanuatu’s beautiful tropical climate, the weather is generally good all year round, so it’s never a bad time to snag a deal. Hankering for a sun-kissed holiday without the crowds? Turn your attention to the less-travelled beaches of Cambodia. This holiday destination offers Aussies travellers accommodation prices that are 18% cheaper YOY, to just $68 on average per night. Thrifty travellers can also grab bargain with flights, the average cost of a flight from Australia to Cambodia will set you back $528. If you’re looking for a value-for-money trip that’s only six hours away from Sydney, consider the South Pacific islands of Samoa. Accommodation prices are down in Samoa by 5% YOY, to $142 on average per night and average cost of a flight from Australia to Samoa are down 10% YOY, to $636. Best known for its natural beauty – think crystal clear beaches, rainforests and waterfalls – this is a humble destination, devoid of tourists, mega-resorts and flashy attractions. With a number of new luxury resorts moving in, now is the best time to travel to Sri Lanka. 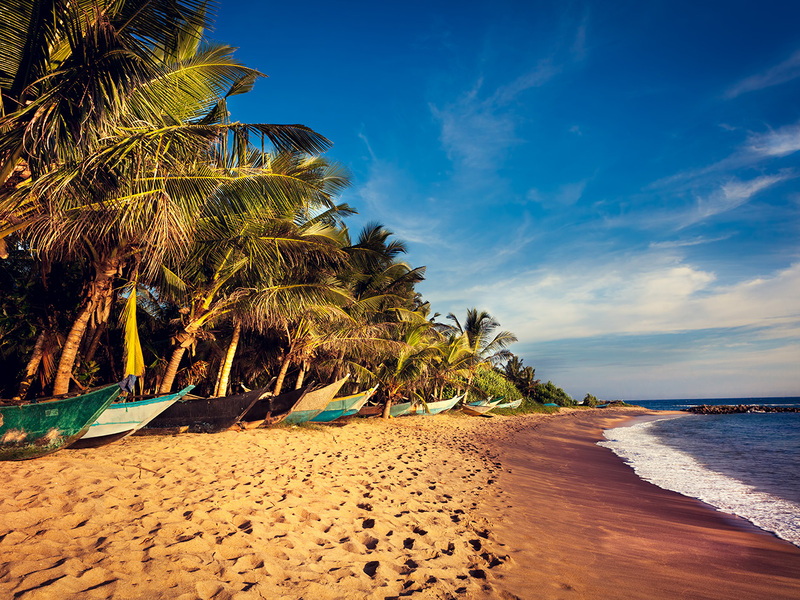 Explore the island’s unspoiled coastal areas and lush landscapes but also take advantage of the Australian dollar’s 5% growth against the Sri Lankan rupee. Accommodation prices are also down by 14% YOY, to $152 on average per night, alongside a 7% YOY drop in the average cost of a flight from Australia to Sri Lanka, to just $576. 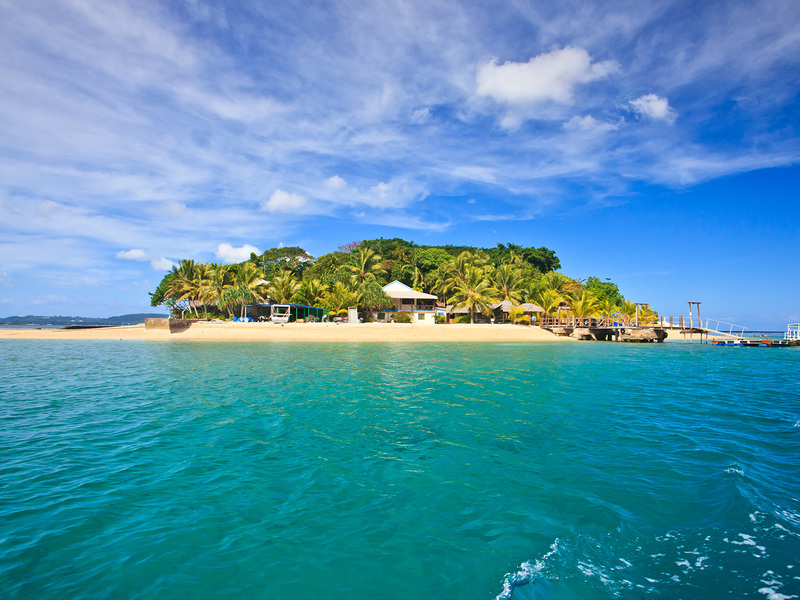 Sun-drenched beaches, turquoise lagoons, swaying palm trees – Fiji supplies all the classic images of paradise. If you’re thinking of making this destination your next trip, accommodation prices are at $159 on average per night and an average cost of a flight from Australia to Fiji is $378, having decreased 15% YOY. Kiss the tourists goodbye – and within four hours and 30 minutes (from Sydney) say a warm ‘Malo e lelei’ (hello!) to the Kingdom of Tonga. With endless blue bays, sparkling beaches and ancient stone temples, it’s a great one for kayaking, whale watching and surfing. Average accommodation prices are down 15% YOY, to $153 on average per night and average cost of a flight from Australia to Tonga is down 30% YOY, to $488. While it may have a reputation as an expensive destination for Aussie travellers, now is the time to grab a great value-for-money holiday to New Caledonia. Accommodation prices will set you back $143 on average per night and average cost of a flight from Australia to New Caledonia is down 5% YOY, to just $508. With the Australian dollar also performing strongly, it’s much easier to plan an inexpensive holiday to the Pacific. Only a three hour flight from Sydney and all-year-round balmy weather, there’s a range of activities that won’t cost a fortune. If you’re looking for a destination that not only boasts affordability but also incredible nature, intriguing culture and great food, Expedia advises you check out Vietnam. This destination offers accommodation prices at $114 on average per night and average cost of a flight price from Australia to Vietnam, at $658. And the value for money doesn’t just end with airfares and hotels, once you get there don’t be afraid to haggle!